Blurb: Lady Gwyneth Beaumont has long awaited the opportunity to show Viscount James Ashworth that she is no longer the impetuous child who dogged his footsteps. Now a much sought-after debutante, she is determined to prove to the hard-headed rake that she is a grown woman and a worthy participant in both the spy game and the game of love. Author Bio: Descended from a long line of storytellers, Jacki spins adventures filled with mystery, healing and romance. Her travels to London and Paris ignited a deep-seated passion to write the romantic, regency The Code Breaker Series. Jacki is certain she spent at least one lifetime dancing in the Moulin Rouge. Jacki’s two Golden Labs, Gus and Talley, were her constant companions. Their years of devotion and intuition inspired her to write both dogs as heroes in each series. A geek at heart, Jacki loves superhero movies--a hero’s battle against insurmountable odds. But her heroines don’t have to wear a unitard to fight injustice and battle for the underdog. 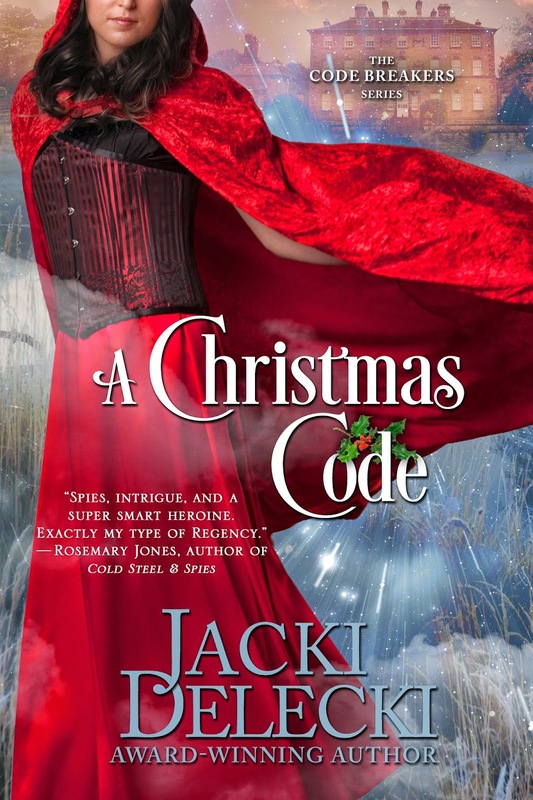 Look for more heart-pounding adventure, intrigue, and romance in A Code of the Heart—A Regency Novella, next in the Code Breaker Series, to be released on Valentine’s Day, 2015. To learn more about Jacki and her books and to be the first to hear about giveaways join her newsletter found on her website. Thank you for hosting me today! Happy Holidays to you and your readers! Thank you for swinging by, Jacki. The book sounds amazing and I can't wait to read it.